Custom Website Designing with highest level of creativity and professional approach. Making your web presence mobile ready by developing mobile and tablet ready responsive websites. We constantly keep ourselves updated with latest technologies so that we can provide you best services. Gives you smoothly integrated Content Management System (CMS) so that you can take full control of your website. Get a solid Ecommerce Websites and expand your presence online by selling your products and services globally. Expand your customer reach by developing Android Mobile Application or iPhone Mobile Application and win over your competitors. For us each and every client is Special and Unique, we provide them Tailor-made solutions as per their requirements. 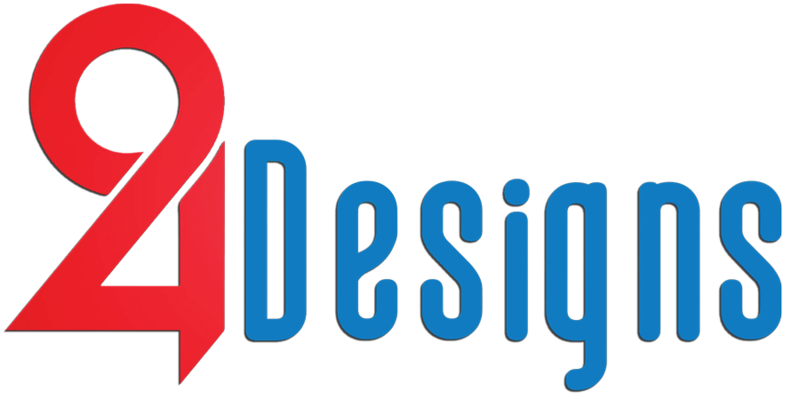 24Designs believes in adapting customer oriented approach and delivering the best results for them. 24Designs will be with you from Stage 1 i.e. idea generation for your website or mobile application. We will help you in brainstorming designs, flow and functionality for your website and mobile applications. 24Designs will come up with a nice and unique design for your website or mobile application and will start development on the same. 24Designs will be in constant touch with you from first stage to final stage of your website or mobile application launch and will provide you step by step guide at every stage. 24Designs will provide you support even after your website or mobile application is live and will help you to solve any bugs your come across in future. If you are looking for a leading website design or app Development Company in India, your search has come to an end. We design professional, creative and SEO friendly websites for our clients.